” Egypt Christmas Tours ” means the ultimate happiness after changing the routine of spending your Christmas at home and heading to different places to spend your Christmas Vacation at just like spending it in Egypt “The Land of Pharaohs” that hosts the most remarkable attractions and is known with its sunny weather during Christmas. So here we present an opportunity for those who like searching for beauty and breaking away the most common Christmas traditions. If the idea of heading to Egypt during your Christmas Vacation seems appealing to you then our Egypt Christmas tours will look very interesting to you especially with our 5* accommodations in the most recommended hotels & Egypt Nile Cruises. Spend a memorable Christmas Vacation and take with you some unforgettable memories after visiting the Ancient Egyptian treasures depicted in the Egyptian tombs, temples, museums, Valleys, beaches, tourist destinations, and much more. While there are many alternative destinations where you can spend your Egypt Christmas tours, we offer you some unique opportunities to visit the most required historical sightseeing including the tiptop ones in different Egyptian cities like Cairo, Luxor, Aswan, and Alexandria without ignoring the importance of the terrific coastal cities if you want to enjoy the beauty of the best Red Sea beaches in Hurghada and Sharm El-Sheikh. Egypt is rich with its breathtaking historical & cultural highlights and it is based on your Egypt Christmas tours that you choose to have the best trip of your life. Among the astonishing places you are going to witness are Giza Pyramids, the Egyptian Museum, Mohammed Ali Mosque, Salah El-Din Citadel, Khan El-Khalili Bazaar in Cairo, the Unfinished Obelisk, Philae Temple, Abu Simbel Temples in Aswan, Karnak & Hatshepsut Temples, Valley of the Kings in Luxor, and Qaitbay Citadel in Alexandria. Of Course, that is not all as there are other mesmerizing attractions that call you to discover during your Egypt Christmas Tours. After finishing all of your fantastic historical expedition, you may want to spend some days of your trip doing some interesting activities like doing some unique snorkeling with a professional trainer. You may also want to try riding a submarine to discover the world beneath water without getting wet in Hurghada. You will no doubt find all of this with our irresistible Egypt Christmas Tours so give yourself a break and enjoy with the best customized Egypt Christmas holidays during the most amazing season in Egypt. Gather your family members & friends who like adventure and really seek to do something new during their vacation and check our fabulous Egypt tour packages to head into a truly fantastic journey to the center of the Earth “Egypt”. We customized such tours in Egypt during Christmas to make sure that you don’t waste the Christmas celebration at home watching TV as you deserve something much better with a high standard and really acceptable prices so all of what you need to do is to check our Egypt Christmas Tours & Holidays to choose the most convenient trip for your taste and don’t forget to share your opinion with the people around you because Christmas is the second name of sharing. Whatever your choice is…our professional travel operators would gladly work with you to customize the perfect trip for you is you would like to add optional tours or to visit more places while being in Egypt so in order to do so, you can check our Egypt Travel Planner that will show you to what extent you can go behind the limits with your tour. 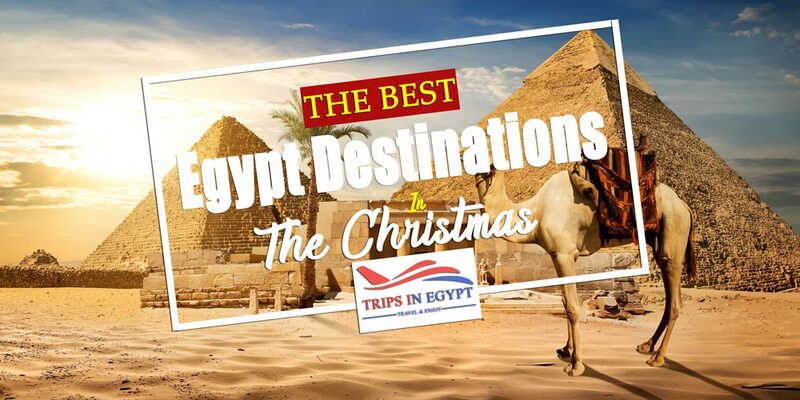 Christmas was meant to be well celebrated and that is why we offer the best extraordinary way to do so while booking one of our most recommended Egypt Christmas Tours, which will be the best gift for your beloveds. So don’t wait any longer and start preparing for an exceptional Christmas Vacation. After contact with us, we will start working on planning the best trip for you before the peak time in Egypt to make sure that everything will be totally convenient for you and the ones who share you with such an opportunity. It is the perfect time for you to visit Egypt so choose the trip you want to have and then let the rest upon us. Why “Trips in Egypt” during Your Egypt Christmas Tours? Because we provide some exceptional standard & luxury Christmas tours with the ultimate services and the most notable prices, which made it easier for everyone to spend his dream vacation in the magical lands of Egypt. You are really unique and we truly care for your needs and demands starting from the moment you step the lands of Egypt till the last moment of your adventure with a 24 hours contact between you & us so that if you need anything or want any help, you find us ready for your help so no more worry about traveling to a foreign country as “Trips in Egypt” made it much easier.